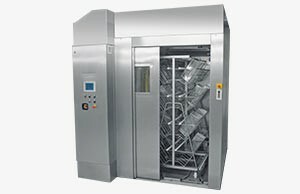 The cleaning systems manufactured achieve best cleaning and drying results for cages, accessories and racks. Based on cutting-edge technology the device provides high efficiency and produces excellent cleaning results across the entire surface. 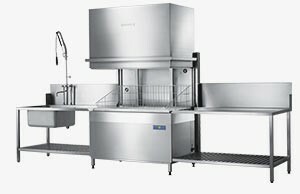 A sophisticated washing process with a rotating wash system in combination with a fine filter systems ensures excellent cleaning results. The main functions are combined in a multi-function button – and therefore easy to operate. Particularly designed for bottle cleaning, this machine has been equipped with wide angle nozzles to achieve a more accurate spraying fan, which avoids spray shadows. 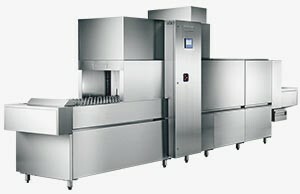 This means that corners and places that are difficult to reach are cleaned much more efficiently. Optionally available heat recovery further increases profitability, which is already at a high level to start with. 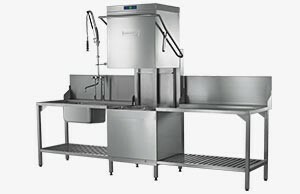 The tunnel washer FTN showcases a new type of washing system with 11 wash arms and a patented triple rinsing function to achieve best results. The drying process is functioning well – also achieved by a patented system. The drying air is fed in from two sides and so the washware is exposed to air from above and below. Low-noise, reliable drying process, efficient cleaning and exceptional flexibility: These are the properties of the rack washing device WWA. 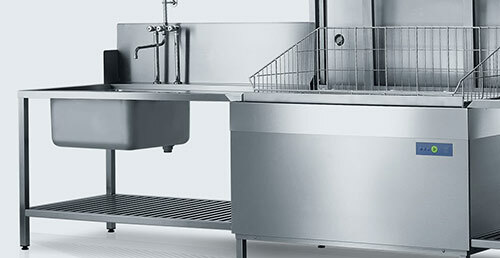 The sophisticated tried-and-tested technology ensures utmost hygienic safety and therefore ample scope for different application scenarios.